Unlock Samsung Galaxy S5 M-G900F SM-G900H - Safe IMEI Unlocking Codes for You! Unlock Samsung Galaxy S5 M-G900F SM-G900H Handset! In case your Galaxy S5 M-G900F SM-G900H doesn't ask for the code and there is no designated field to enter it, please DON'T PLACE ANY ORDER, contact us first for support. Please make sure you send us the correct information of your Samsung Galaxy S5 M-G900F/SM-G900H Handset! How to Unlock Samsung Galaxy S5 M-G900F SM-G900H Phone - Tutorial! I need code for my handset but I want to know how many days the code will arrive after ordering? I bought my galaxy s5 in Poland at the Samsung store. I would like to ask if do you have the codes to unlock the region lock? model SM-G900F. plz help me with my handset! i need help/assistance to unlock my handset..
do you have code for galaxy from Virgin Canada? I wondered if you can unlock my Samsung Galaxy S5 from Estonia EMT! can you assist anytime if ever i encountered problem during the whole process? Hello. I have a Samsung SM-G900F mobile phone. I check the model list and i cant find it. What is the true name in the telephone models list. Can I get the code right away after I requested it? an you please let me know if you can provide the unlock codes for vodafone? Incase anything goes wrong can i get a re-fund? I wonder if I can use my sim again after the process? I wonder if it easy to the unlocking process? 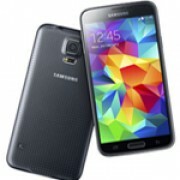 I would like to ask if you do have unlock codes for Samsung Galaxy S5 M-G900F/SM-G900H from at&t Brunei? Hi Troy! Yes, we should be able to provide you a code. Please fill in the form and you will see all the details. Thank you!